Around 80 percent of visitors read a post by seeing a killer headline of a post, article or report. It is pretty essential to get readership. If you do not write an attractive headline for your post your visitors will never fell interest to read rest. 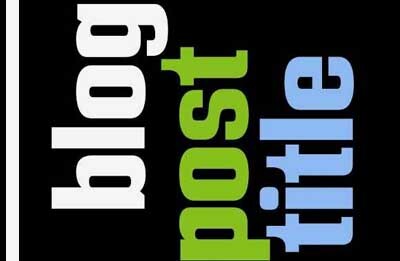 So, to get huge readers you have to focus on your post title. ■ Optimize post titles using H2 tags. ■ 8+ quick tips for blogging success. Let me describe more clearly. Your post title is the first thing which will see your visitor first. When a visitor read your post title they can understand little and make an image in their mind about your post. If your headlines are not catchy I am ensuring you that your readers will not continue to read further. Read the examples below and decide which post you would like to read more? Learn SEO tricks for a blogger. Top 15+ Killer SEO tactics for newbie bloggers. Learn SEO for better visitors. Do it. I will choose 2nd post title, because it holds my mind more than first one and last one. Isn’t it? Write every sentence attractive to get fell interest for reading next sentence. Generally a visitor never read full post instead of main subjects. So, if your post headline is not killer people will not read your posts and your blogging career will not get success. I know you are a good writer but you are totally useless if you have no one for reading your contants. ■ 11+ proven tips to write SEO friendly post headlines. 1. Headline is a summary for your entire post. So mention something about you post in short. 2. First impression is a key to hold your visitors. Make your post title bold and controversial. 3. In your post tile paste some rich keywords about your niche. Use Google Keyword tool to research keywords. 4. Oh! Must make sure that your headlines are in 66 characters. Because search engines are able to show only 66 characters in their search results. 5. Use some gorgeous words like TOP, KILLER, EFFECTIVE, PROVEN, TOP 10 TIPS etc. 6. Use questionable headlines. Because people generally use questionable search terms. Example: How to get free traffic? What is GPS tracking? Which foods are good for dogs? etc. These above tips are really effective. I am showing these tips as quick tips. You can get more detail info in our previous post. Read: 12 tips for writing killer post titles. Between all of these you have to keep in mind to promote your articles. Humm! Its SEO. I recommended you to see our full posts list for know more about various hot topics. 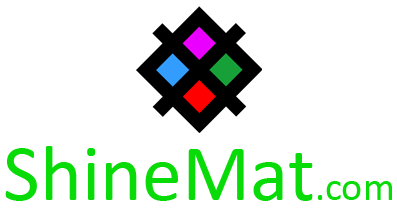 Stay tune at ShineMat.com, Peace and blessing pals. Headlines are indeed very important. I'd say it may make or break the whole post you wrote. Thanks for sharing these tips.